Y’all. It’s almost December. Where did 2017 go?! But this also means it’s almost Christmastime and I love Christmastime, so I can’t complain too much. 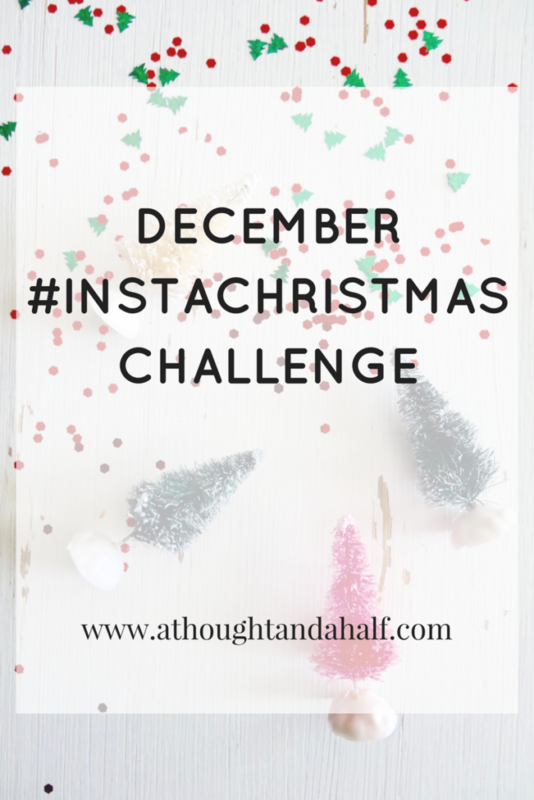 What better way to welcome December than with an Instagram challenge? I’ve started to hone in my Instagram game a little more lately and put more effort into my posting habits. If you really want to grow your ‘Gram, then consistency is key. Whether that means posting every day, or posting every other day, every third day, whatever… as long as you keep your routine consistent, your Instagram is bound to grow at least a little bit. An Instagram challenge is a great (and super fun) way to establish stronger posting habits and keep your creativity flowing, especially this time of year. My friend and I put together an Instagram challenge a few years ago (this one, if you’re curious) and I loved it. So why not do one again in 2017, right? Let’s have some fun with this! The goal is to post something every day in December, but really, post as much as you can and would like to post. The themes for each day are below. Join the fun and tag your posts with the hashtag #InstaChristmasChallenge so we can all follow along together! 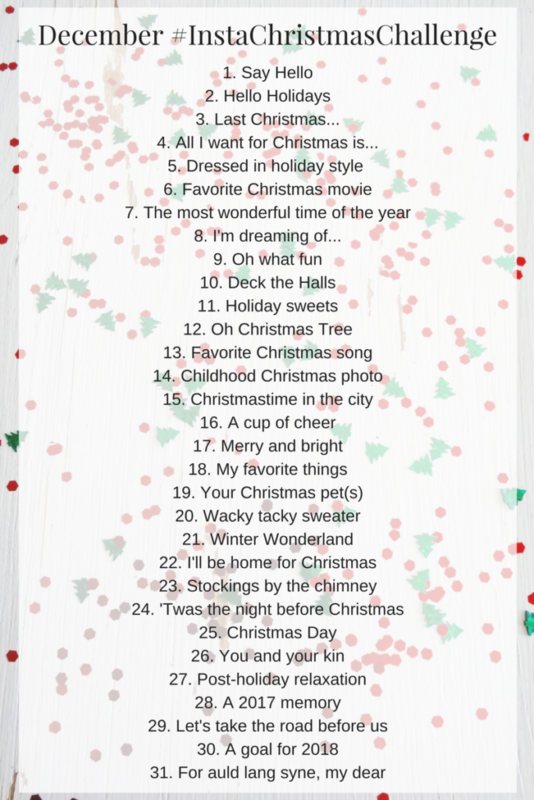 If you’re up for the Instagram challenge, join the fun for the month of December! Whether you post every day, every other day, or just a handful of days throughout the month, that’s okay. What matters is that you’re sharing YOUR holiday season with all of us and having a good time doing it. Don’t forget to tag your posts with #InstaChristmasChallenge so everyone can follow along. If you’re participating, I challenge you to comment on someone’s photo each day. Make some friends while we’re at it, why don’t we. If you need any more inspiration this holiday season, check out my 33 holiday blog post ideas, too! Who’s all up for an Instagram challenge? Comment below if you’re joining the fun!